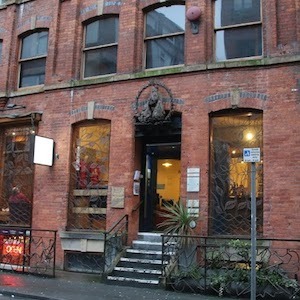 We are located in Manchester city centre’s Northern Quarter, among many cafés, independent shops, the Craft Centre, Chinese Arts Centre and some beautifully preserved historic architecture, alongside increasing problems of homelessness and drug use. Earth Café and Bodywise, for yoga and therapies, have different opening times. Shudehill and Market Street tram stops are nearby too – follow the tram lines to Turner Street! We are committed to complete accessibility for disabled people by making the main entrance wheelchair-accessible. Due to the enormous generosity of a Sangha member, we are now able to cover the £40 — 50,000 cost of installing external lift access and we are hoping to complete this legally and technically complex project in 2019. If you are attending a course or event, please email us with any medical needs that you think we should be aware of, to make your experience as enjoyable as we can. We are used to helping people with difficulties or disabilities to find a meditation posture that works for them, whether on cushions, mats or chairs. 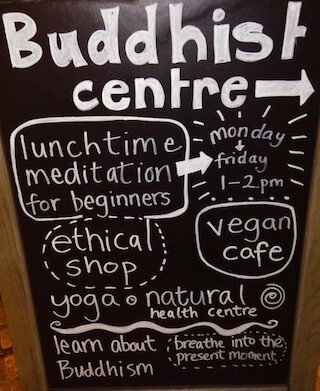 The Centre is a registered charity, run by a small team of paid members of our Buddhist community, or Sangha, along with many volunteers. Several other separately-run Buddhist organisations are also based in our six-storey building, along with a small residential Buddhist community. 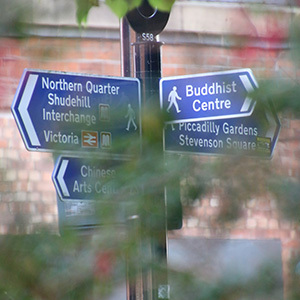 We are part of the Triratna Buddhist tradition, an active partner in the Network of Buddhist Organisations and the Manchester Buddhist Convention, and we welcome Buddhists of all traditions to our Centre, along with all members of the community. 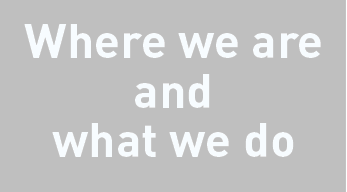 The Centre is continually working towards becoming an ethical and environmentally sustainable place in the heart of Manchester. We seek to encourage and support vegetarianism and veganism, fair trade and a low carbon footprint. The Centre was awarded the status of Fairtrade Temple in July 2015. 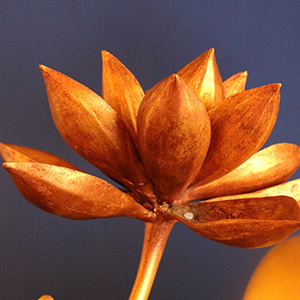 Our Trustees are legally responsible for the running of the Buddhist Centre and its courses. The Chair is responsible for the Centre’s spiritual direction and integrity. The Centre Team, other employees and the Centre’s teachers put the Board of Trustees’ vision into practice. We also have a President – a senior Order Member from outside the local situation, who can hold an objective and long-term perspective. And the day to day running? Who is responsible for teaching? 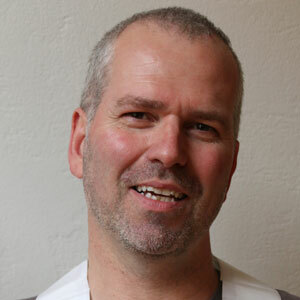 Our teachers are ordained members of the Triratna Buddhist Order and those training for ordination. They are well-trained and experienced practitioners, who teach in a friendly, informal way and communicate from their own experience. We welcome feedback on our website. Please let us know if you find any mistakes, problems or accessibility issues. A big thank you to all who have worked on this site over the years – you know who you are! 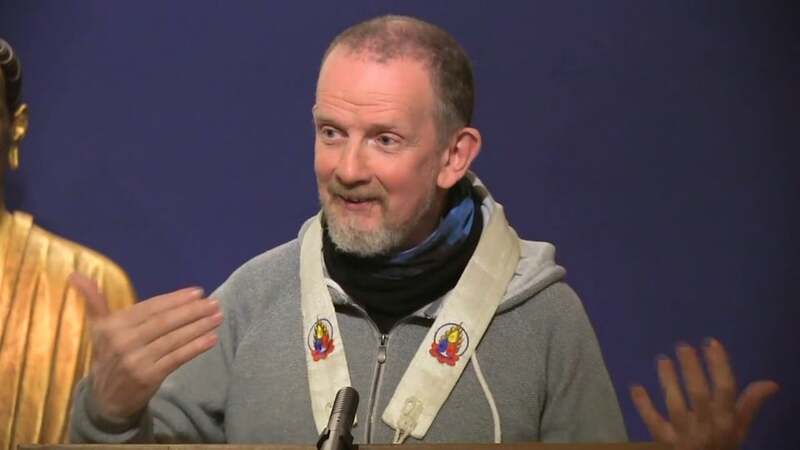 The Triratna Buddhist Community has not been without its difficulties over the past fifty years. As a community we are constantly learning from past mistakes and striving for best practice. Vishangka is our safeguarding officer. Contact safeguarding@manchesterbuddhistcentre.org.uk with any queries. We welcome visitors whenever we are open. Our receptionist can give you information about the building’s restoration and the many beautiful artworks. We see our shrine rooms on the first floor as sacred space. You are very welcome to visit them when they are not in use, but we do ask you to take off your shoes, remain quiet and not bring food or drink into them please.